YESTERDAY saw the coming together of business women from all over the North West of Ireland for a Breakfast Conference in Buncrana, Co. Donegal. Women Beyond Borders Breakfast Conference was held at The Inishowen Gateway Hotel. 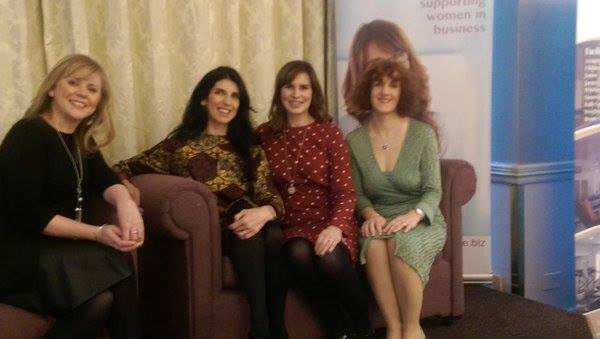 Donegal Women in Business and Derry Women in Enterprise hosted the event and succeeded in inspiring many business women throughout the area. The first guest speaker was Leona Kane, owner of Broighter Gold from Limavady in Co. Derry. Leona told her story about how she founded Broighter Gold Rapeseed Oil after deciding to try the oil from the seed grown on her husband’s farm when she ran out of olive oil for cooking one evening. She spoke about how much easier it is to sell a product that you are passionate about, and it means so much to be able to sell a product that is grown, processed and marketed direct from your own farm. Their company was recently awarded the Économusée (Artisans at Work) for NI through the Causeway Coast and Glens Heritage Trust. Leona was hugely inspirational and she is very much more than just a ‘farmer’s wife’. She is a mother, wife, business woman and a hugely inspirational role model. 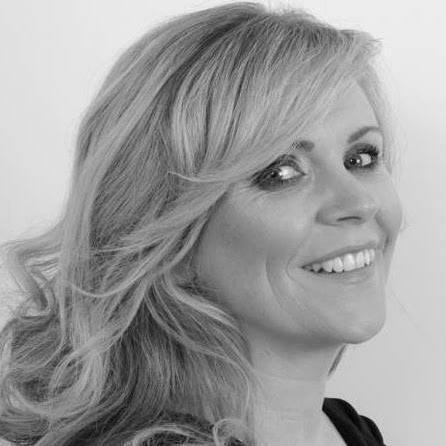 Following Leona was Kathy Donaghy, award winning journalist, from Inishowen, Co. Donegal. Kathy has worked for several national newspapers including the Irish Independent where she was public affairs correspondent before leaving to work in the RTE newsroom. She has reported on many significant news stories over the last 20 years, from crime to politics. Kathy now lives in Inishowen with her husband Richard and their two young sons. Here she works as a freelance journalist and is also a qualified pilates and children’s yoga teacher. She also runs creative writing courses for children. Kathy told her amazing true life story about how and why she moved from a busy high profile media life in Dublin back to her native Donegal. Her belief in signs confirmed that the family move was right when she came upon the quote, “jump and the net will appear”. Finishing her talk today with these words was very apt for the many ladies who are considering the move to self-employment and new lives for themselves. The jump is not nearly as daunting as they’d first thought thanks to Kathy. Samantha Kelly, Ireland’s Tweeting Goddess, then inspired every lady in the room with her own true life story and the need to ‘tweet’. Samantha is passionate about assisting others to get on and how to use Twitter as a fantastic marketing tool to show off what you do. 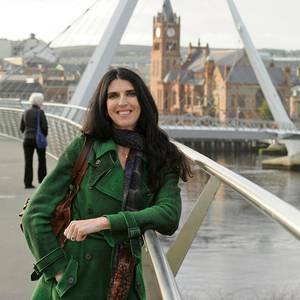 She won the Tweet Inspire award on 2 October at the Inaugural Rabo Tweetie awards and was winner of the Bank of Ireland Start Up Hero Award in 2014, as well as appearing on Dragon’s Den and other TV programmes. Samantha has a knack for getting brands trending on Twitter. If you want your brand seen, she’s your girl. Award winning leader in her field, Samantha’s customer service skills and sprinkling of Twitter magic will enhance any brand image and brand awareness and even get you direct sales from Twitter. Her story was not only interesting but once again, hugely inspirational. I think every business lady in Donegal and Derry will be tweeting before midnight tonight. Denise Devlin from Positive Parties finished the guest speaking list with her party pieces, getting all the ladies in the vicinity dancing, laughing and even a little yoga thrown in for good measure. This was a little unconventional for many but it got strangers talking and was a hugely successful exercise for many. A number of representatives from the local Donegal and Derry Enterprise boards also spoke and encouraged more women to take the leap into self-employment. A number of schemes are available to assist and information was provided. The ladies all succeeded yesterday in connecting, sharing and inspiring each other. They certainly proved that the north west of Ireland is coming to the fore and it’s being led by women. Trending on Twitter #womenbeyondborders and these ladies are all set to soar.